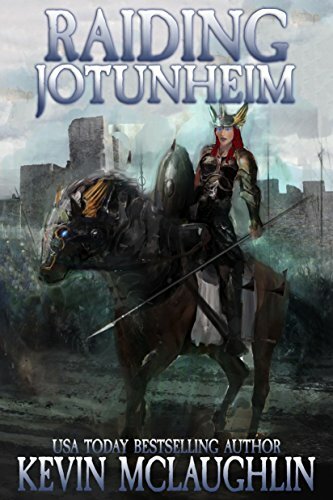 ‘Raiding Jotunheim’ continues the exciting LitRPG adventure by USA Today bestselling author Kevin McLaughlin. When technology blurs the line between fantasy and reality, what will we become? Samantha didn’t ask to have her mind uploaded to the virtual afterlife of Valhalla Online. Someone did this to her. She’s determined to find out who. But her quest has stirred enemies. They’re coming after her with new weapons – hacked items capable of deleting anyone struck by them. One scratch, and she’ll be gone forever. There’s no coming back. Stalked by an assassin who can kill her for good, Sam pushes on, struggling to smash her way through yet another Realm. She needs to beat all of them to learn the truth, and her foes stop at nothing to make sure she never survives that long. But Sam will not let fear deter her. Some things are worse than dying, and immortality in a cage is one of them.